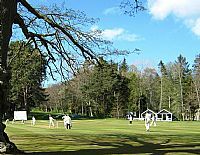 Overnight and early morning rain had put the match in doubt, but the travelling NoSCA team and supporters arrived at the Countesswells ground to find the covers had kept the pitch dry and as the temperature rose the lush outfield dried considerably. On winning the toss skipper Stockwell had no hesitation in asking the hosts to bat and remarkably play began on time – a prospect which looked unlikely even 30 minutes before the scheduled start of 1pm. Despite the Select side dropping a couple of simple catches in the early overs, Gordonians were soon in trouble thanks to two early wickets from Stockwell (Farr atoning for his earlier drop and an LBW) and when Wolton bowled Bhandari the ball after being dispatched over extra cover for 6, the hosts were struggling at 36 for 3 off 11.4 overs. Gordonians consolidated with a 34 run partnership between Lewis (their contracted professional) and Reddy, reaching drinks at 70 for 3. However two quick ‘juice wickets’ (thanks Kim) from change bowlers Farr and Ryder pegged the home side back and the introduction of Newman’s leg-breaks paid further dividends as wickets fell at regular intervals. However, the NoSCA attack failed to kill off their hosts allowing them to add a crucial 46 runs for the last 3 wickets before being bowled out in the 39th over for 146 runs. 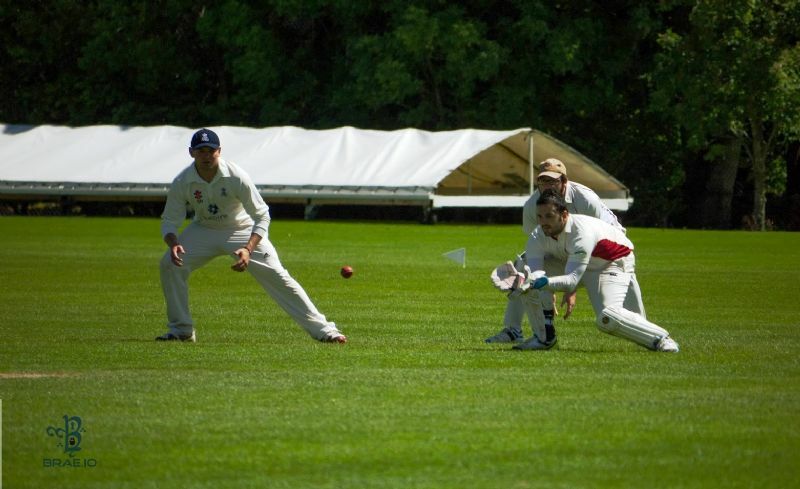 The NoSCA out-fielding had been pretty good but they were left to rue the three dropped catches which would ordinarily have been snapped up and it was a little surprising that the skipper only delivered five of his allotted 8 overs, having bowled very tidily in his opening spell. Any thoughts of the much-discussed solid start and partnership building were quickly dispelled as a series of loose shots outside off stump soon reduced NoSCA to 12 for 3. Ryder, Dhami and Main all departed in identical fashion - snicking attempted drives to keeper Devadas. When Wolton was out first ball, LBW to MacKay, from the first ball of the eighth over the NoSCA innings was in tatters. 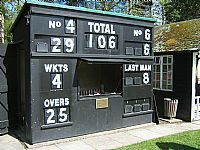 Subsequent progress was slow as Newman and Dugdale attempted to rebuild, reaching drinks at just 47 for 4 and needing exactly 100 more runs to win off 20 overs. However the 'juice' again worked its magic with Dudgale hitting a simple return catch to Lewis 5 balls after the re-start, bringing Aditya Mehta out to join Newman. This pair proceeded to compile the highest partnership of the match, adding 51 runs in the next 13 overs, the left-handed Mehta initially happy to play a supporting role to his partner's more aggressive approach as they dragged their side back into contention. Newman’s eventual departure to a miscued lofted drive prompted the loss of two further quick wickets as Farr and Stockwell perished to some good full length ‘death’ bowling. With the score on 111 NoSCA still needed an improbable 36 runs off just 28 balls with John Paul joining Mehta at the crease. JP took 3 off his third ball and two leg byes to finish the over. The pair then took 5 runs off Lewis’s last over to leave 26 required off 18 balls. The 38th over went 2.21.4 – the target reduced to 17 off 12. With Lewis bowled out, off-spinner Rane was called on to bowl the penultimate over and with the tension rising Mehta and Paul plundered 12 runs (121.(wd)241). From a seemingly impossible position 22 balls earlier, NoSCA were now actually favourites to win – 5 required off 6 balls (or 4 runs with the loss of only 1 wicket)! JP faced the first ball of the last over from Arora and edged it into the leg side. He called for a single but was sent back by Adi (who probably would have made his ground). The next ball was full and JP tried to launch it over mid wicket but was bowled. This brought Arnav Mehta out to join his brother and he tried to run his first delivery down to third man but missed. He was successful next ball and they completed a comfortable single – leaving Adi to find 4 runs to win off 2 balls. The penultimate ball was a supperb yorker just wide of off stump which Adi missed. So, after almost 6 hours play and over 500 deliveries the game came down to the last ball – Arora to Adi Mehta – with all three results possible. The bowler had thus far bowled the perfect last over for his team and he completed the job with another accurate yorker which bowled Adi middle stump! Excellent skill execution by the bowler under severe pressure. The NoSCA team were left dejected having got so close to a victory which for the most part of their reply had looked highly unlikely. 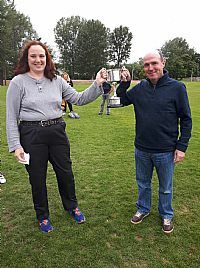 However they can reflect on the fact that they contributed fully to a superb game of cricket between two evenly matched sides which was a shining beacon in this ‘summer’ of gloom. It is easy to reflect on the ‘what-ifs’ of the game (the 160 mile journey home gave plenty of opportunity for this) and no doubt the ‘armchair experts’ will pick over the scorecard and draw some conclusions on how NoSCA could or should have won, but in the final analysis a team of 11 talented cricketers who play together every week beat a side comprising 11 talented cricketers who play together twice a season. 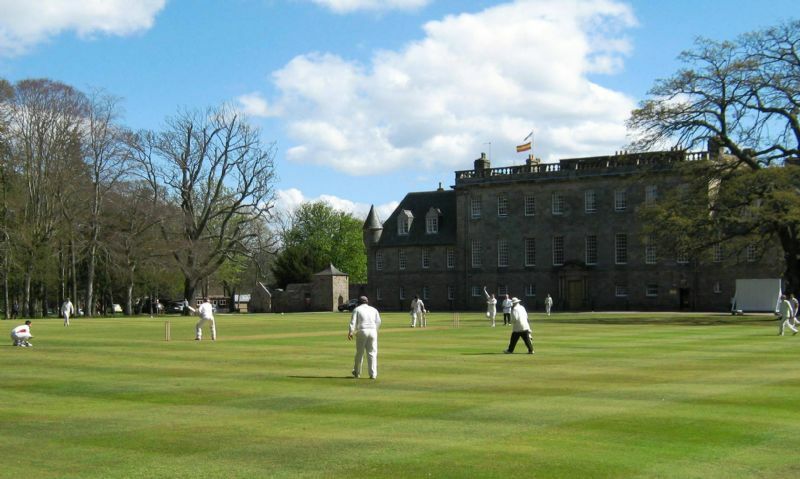 After the heavy rain over the weekend, it was a relief to be greeted with an immaculate outfield and wicket upon arrival at Gordonstoun for the annual fixture versus the MCC. Following the usual generous hospitality, play eventually got underway 20 minutes later than scheduled with the MCC opting to bat first. The NoSCA attack was led by skipper Adam Stockwell and Dave Wolton, both of whom beat the bat several times in their opening overs, and the initial breakthrough came when Wolton found the edge of Wilkinson's bat for Mandal to hold on to a good catch at second slip. The NoSCA attack continued to make inroads into the MCC batting, Cameron clean bowling the dangerous Gray and Mandal picking up MCC skipper Jamie Grant for just 8, to leave the game well balanced with the score on 106 for 4 after 25 overs at lunch. However, after the break significant partnerships between Greaves and Paterson (78 for the fifth wicket) and then Greaves and Surry (67 for the sixth wicket) rapidly took the game away from the Select side, who lacked a controlling spinner to slow the scoring rate. 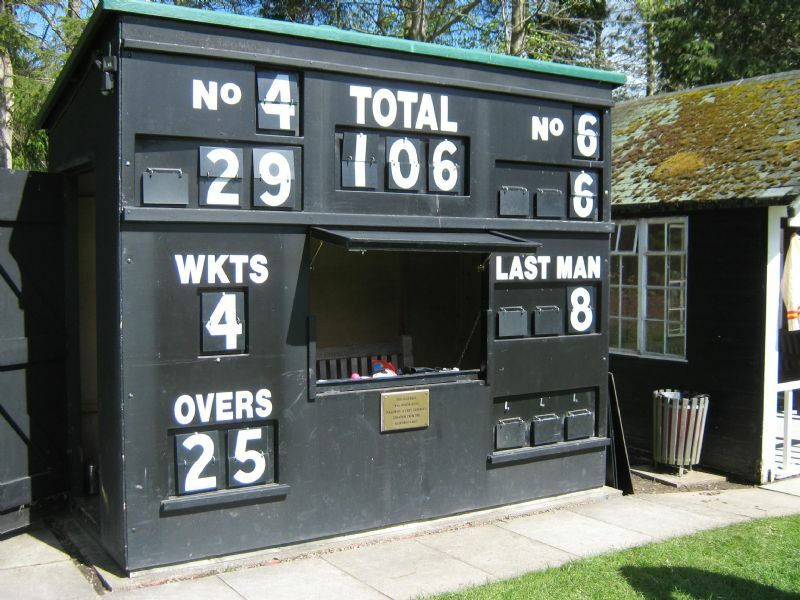 Having added a further 168 runs at exactly seven per over the MCC eventually declared on 274 for 7, with Greaves top scoring before being run out just 5 short of his century. With just 20 overs plus the last hour remaining in the game it was a daunting task for the Select batsmen to chase almost 7 runs per over from the start to win the game, but openers Dugdale and Main made a steady start against the MCC seamers and put on 26 for the first wicket before the introduction of spin changed the complexion of the game. 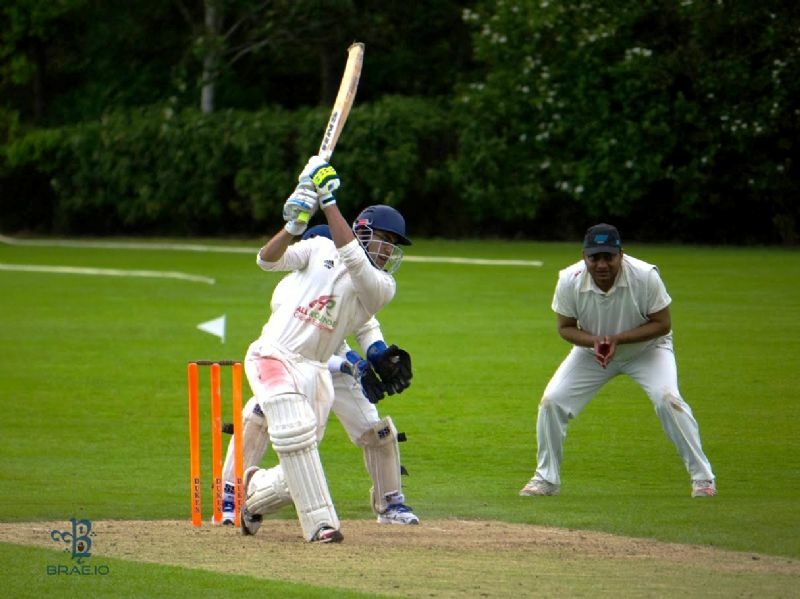 Leg-spinner Greaves (Glenrothes CC) and off-spinner Dutt (Clontarf CC) combined to take seven wickets in all, reducing the Select XI to 113 for 6 at one stage - this despite an enterprising 56 from Dugdale, who added 41 in just 16 minutes in partnership with Aditya Mehta. However, any thoughts of an easy win were dispelled by Stockwell and Davidson who took full toll of the attacking fields as the MCC pressed for victory. 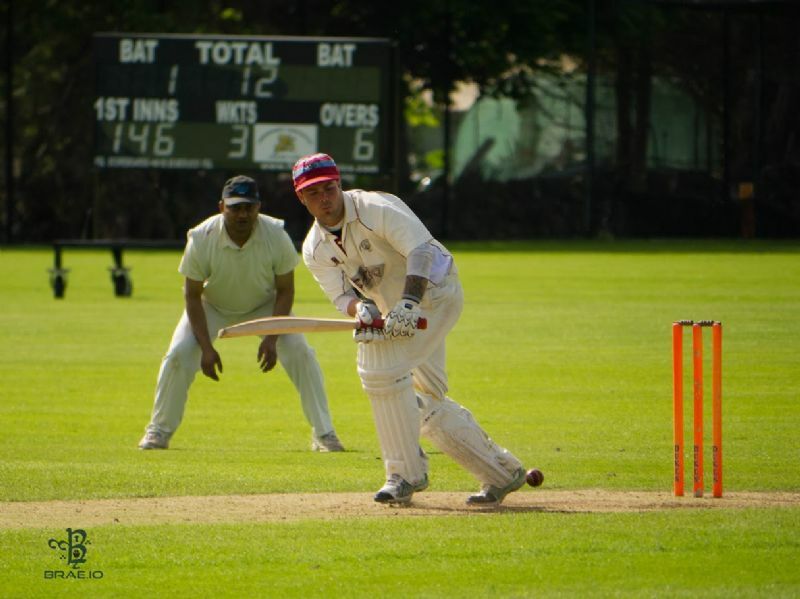 Stockwell eventually departed for 47 (containing 11 fours and just 3 singles) whilst Davidson went on to make an unbeaten half century before the umpires called time with NoSCA on 216 for 8. 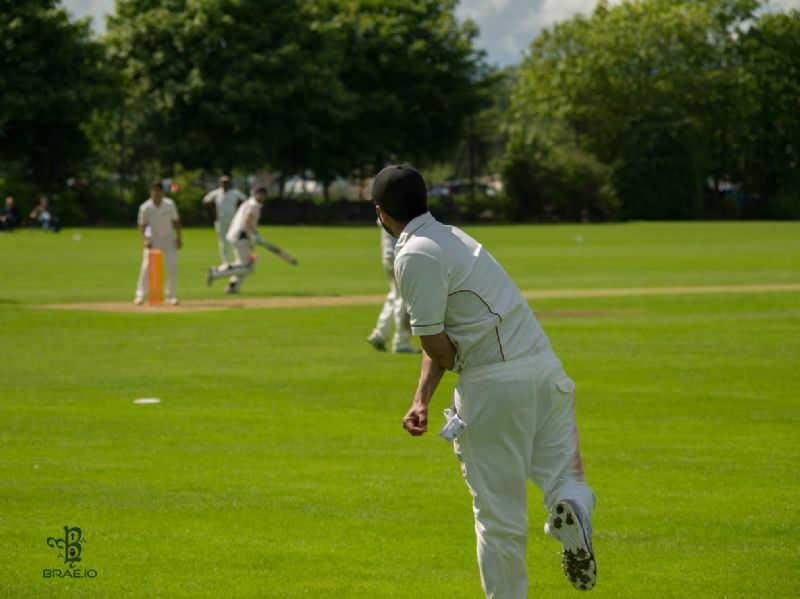 Although up against a much more experienced side, the NoSCA team acquitted themselves quite well but were left to rue several dropped catches and a lack of experience against good quality slow bowling. 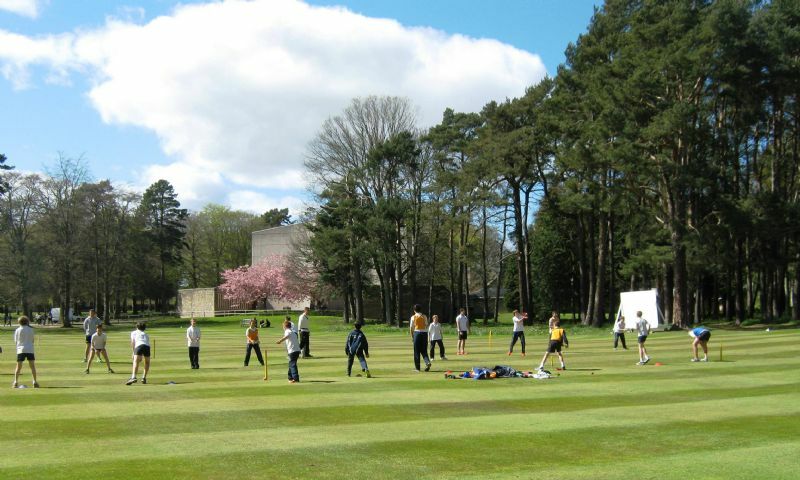 Thanks are due to the staff of Gordonstoun School for hosting the game, to Mike Fox and Ken Ross for umpiring and to 'Scribe' Baxter and Kim Neill for scoring. Click here to download a copy of the Scorecard. 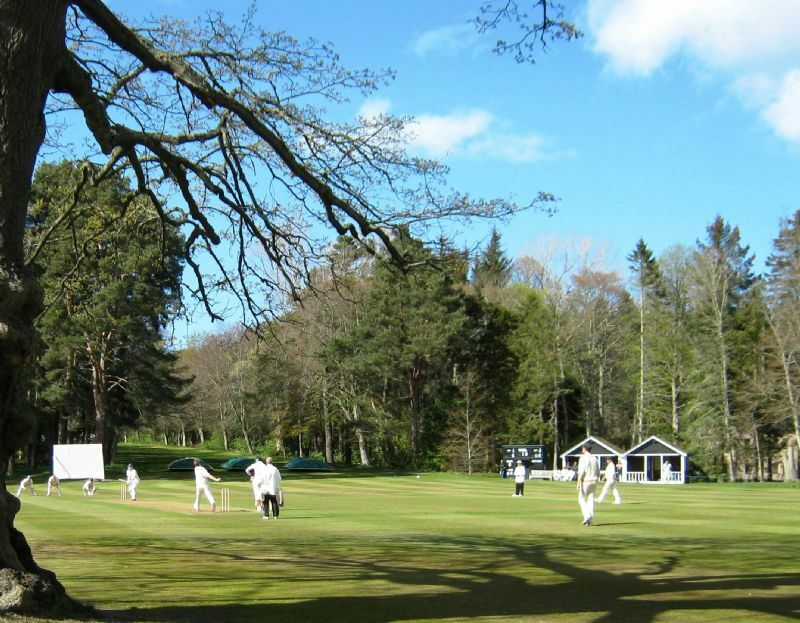 The next NoSCA Select game is away at Gordonians on Sunday 26th June in the Cricket Scotland Challenge Cup.